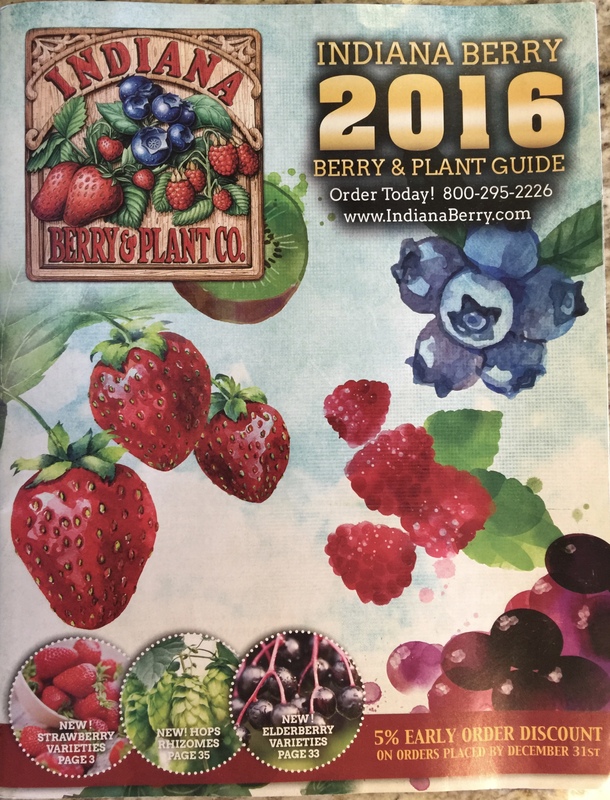 Around the end of the year and certainly in the month of January, seed catalogs start arriving in the mail if you are on the mailing list. 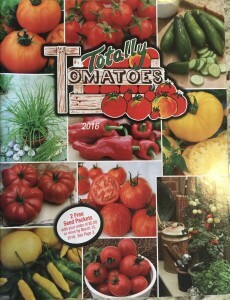 We have received these catalogs for many years. It is a great source of entertainment for us to read through these catalogs and watch as new and improved varieties appear and other less popular varieties disappear from these catalogs. Seed catalogs are a great source of information about when to plant, how deep to plant, harvest date, and many other tidbits of information that help you successfully grow the seeds. 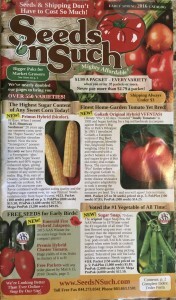 Catalog seeds many times have more seeds in the packet, for the same or a lower price, compared to retail store packets. One misleading designation on many of these catalogs is that the seed is non GMO. This is a non issue with probably 99% of the catalog listings. GMO crops are mostly limited to major agricultural crops like corn, soybeans, cotton, alfalfa and a few other crops which would be unlikely to be grown in a home garden. 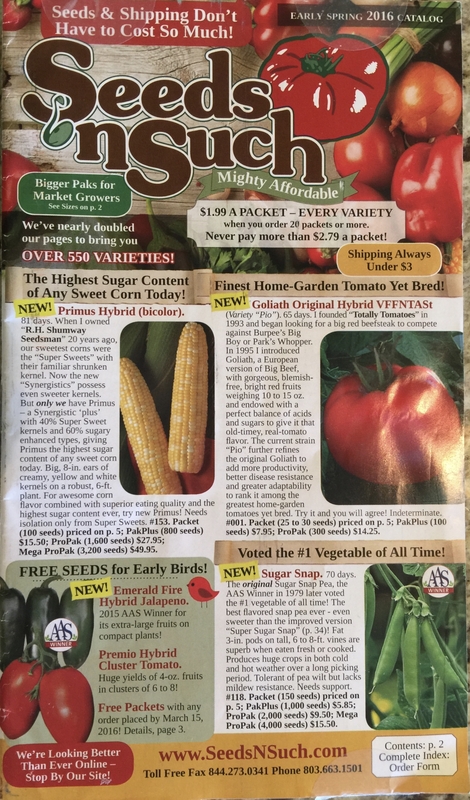 We are not aware of any GMO sweet corn commercially available through a seed catalog. 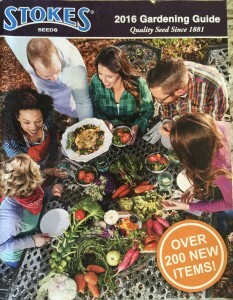 You can basically ignore the GMO issue in these catalogs. Additionally, there is no evidence to support that GMO crops are harmful to humans. We are supporters of GMO crops!! GMO crops are necessary to feed the total world population! Each different seed catalog company seems to specialize in some aspect of seed sales. Some these companies not only offer seeds for commercial vegetable producers as well as home gardeners. 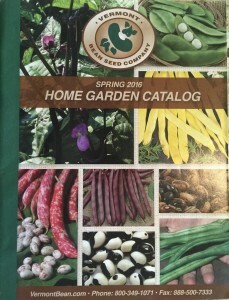 Some specialize only in home garden seeds. 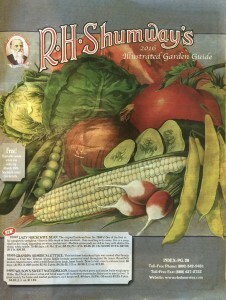 In the commercial catalogs, not all the seeds are offered in packet sizes for home gardeners. 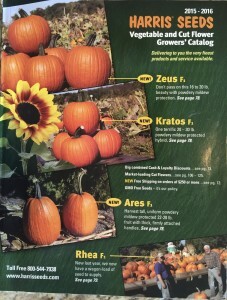 Harris Seeds has a great catalog for both commercial producers and home gardeners. 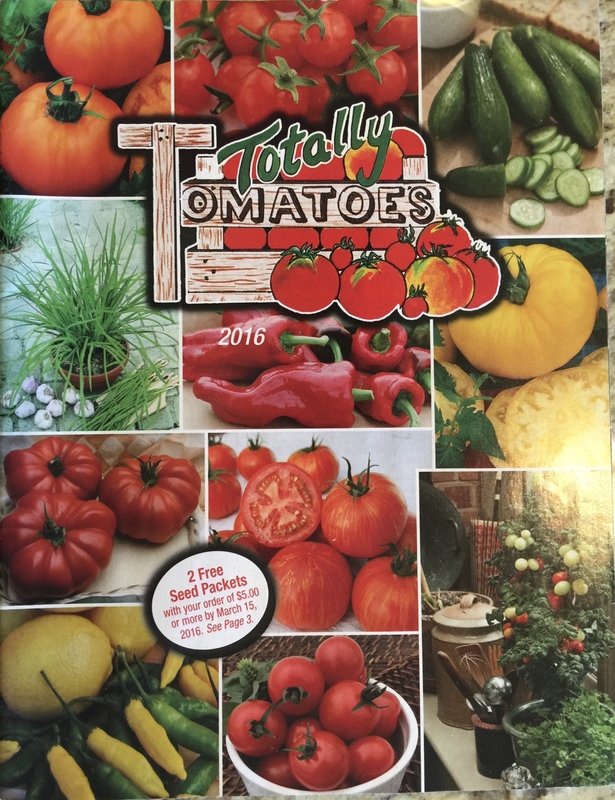 The Totally Tomatoes seed catalog focuses mainly on tomatoes and peppers. 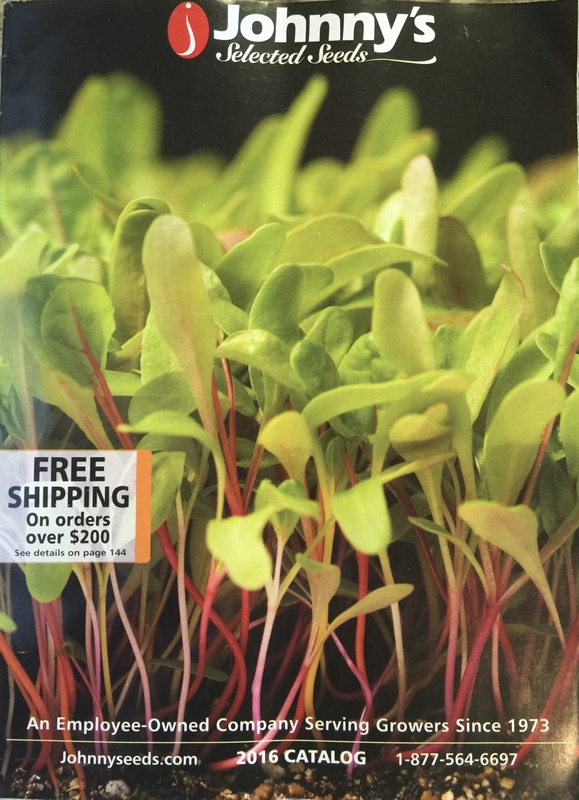 Seeds n Such is a small catalog that offers a variety of seeds with an affordable combined offer packet price and a good number of seeds per packet. 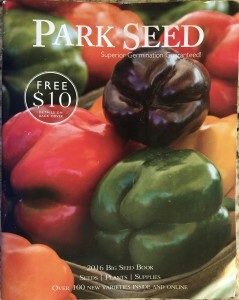 One of the benefits of buying through the mail or ordering on line from a seed catalog is that there are sometimes more than one packet size. You also have a great deal more variety choices. Sometimes there are early order discounts or quantity discounts. 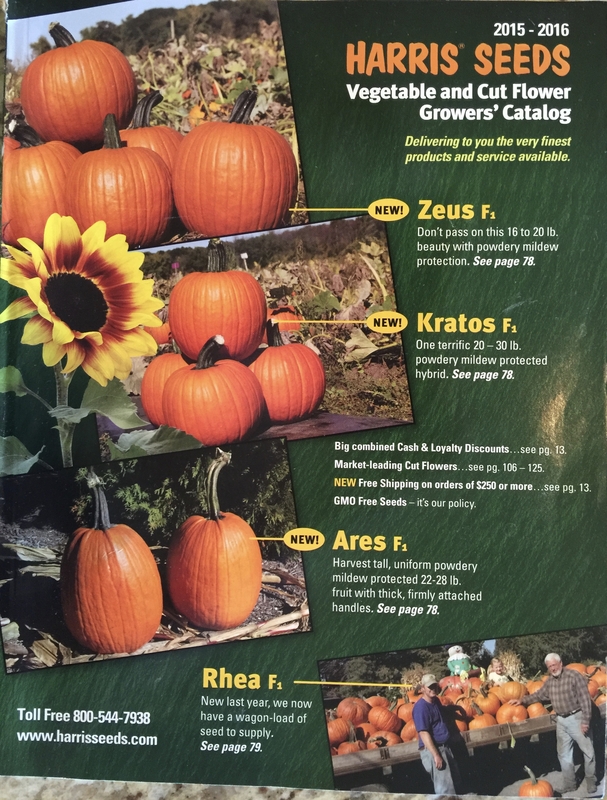 Some seed catalogs do a very good job of explaining how to grow each crop category. These tips can make a big difference specially if you are a beginning gardener, although long time gardeners can learn too. This is very true if you are going to plant something you have not grown before. 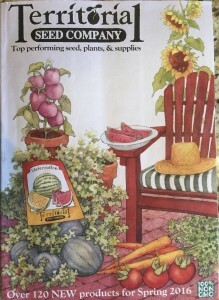 Additionally, seed catalogs usually have a section dedicated to products and gadgets that may help you grow better or accomplish tasks more efficiently. 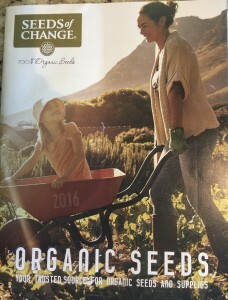 This is the first year that we have received a seed catalog specializing in organic seeds. 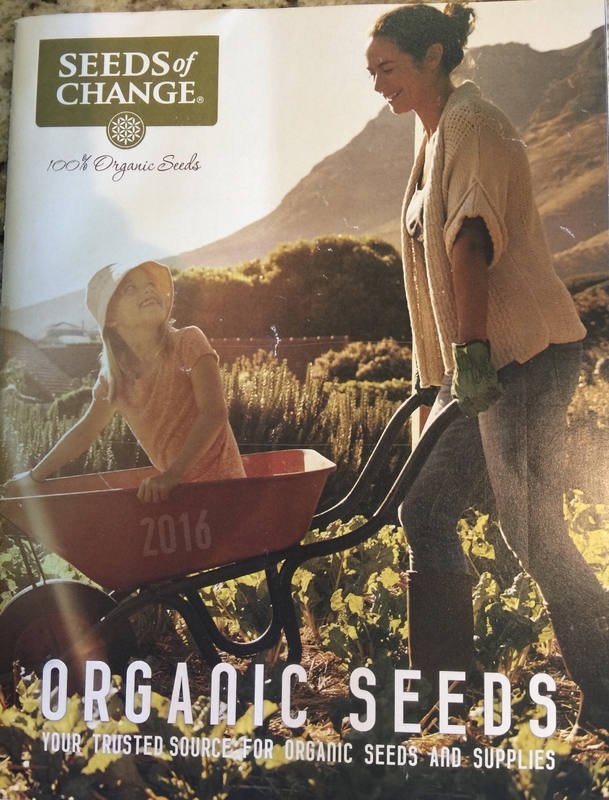 Although we feel that the benefits of organic gardening are greatly exaggerated, it is good to have seed a company attempting to meet the demands of this growing market. 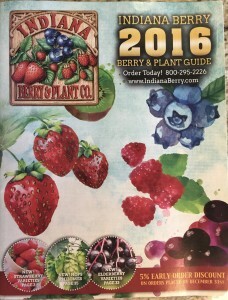 Most gardeners that purchase seeds also have an interest in planting small fruit and fruit tree transplants. Stark Nursery acquired many of the varieties that were previously sold by Miller Nursery in Canandaigua, NY. Miller Nursery ceased operations about two years ago. 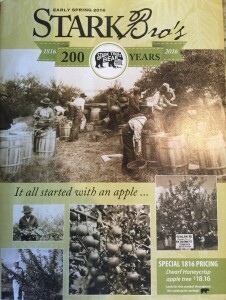 We have been a big fan of Miller Nursery as well as Stark Nursery. Another of our favorite nurseries in Nourse Farms. 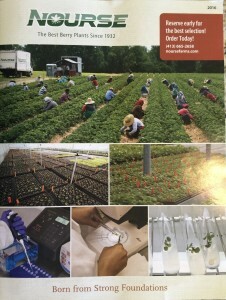 In our opinion, Nourse is the preferred supplier on the east coast for strawberry, raspberry, and other small fruit and vegetable varieties including rhubarb, horse radish, and asparagus. 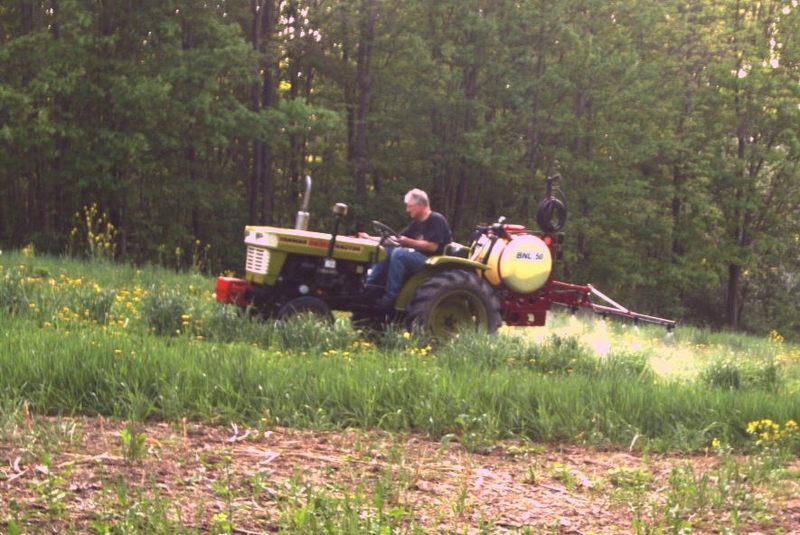 Indian Berry & Plant Co.
On our small farm we needed a sprayer for multiple uses, including several acres of food plots, an acre of orchard and the capability to correctly spray herbicides, fungicides and insecticides in field and orchard conditions. You will not find this type of sprayer at your local supplier and may have to special order such a sprayer. These sprayers will also cost about five times more than an inexpensive herbicide sprayer. This additional cost can be justified if the versatility is required for your operation. If you are only spraying herbicides or other products that do not need high pressure and high water volume per acre, an inexpensive boom type sprayer is all you need. 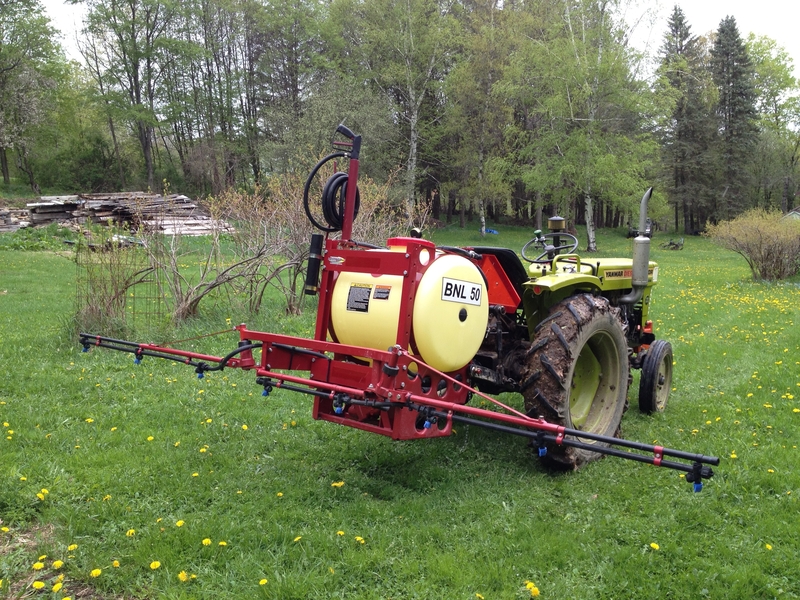 Some systemic insecticides or fungicides could also be applied with this type of sprayer. Today a lot of food plot sprayers are mounted on the the back of ATVs and UTVs for this purpose. However, if you need to apply contact fungicides, insecticides, miticides or other products that need to be applied with high water volume and high pressure to obtain thorough coverage, you will need a more sophisticated sprayer to achieve this goal. For spraying a small orchard it will require high water volume and high pressure to get up into the trees and achieve complete coverage of all the leaves, fruit and branches. This requires either an air-blast sprayer or a high pressure gun sprayer. The air-blast sprayer is the most efficient choice, but requires purchasing a completely separate piece of expensive equipment. 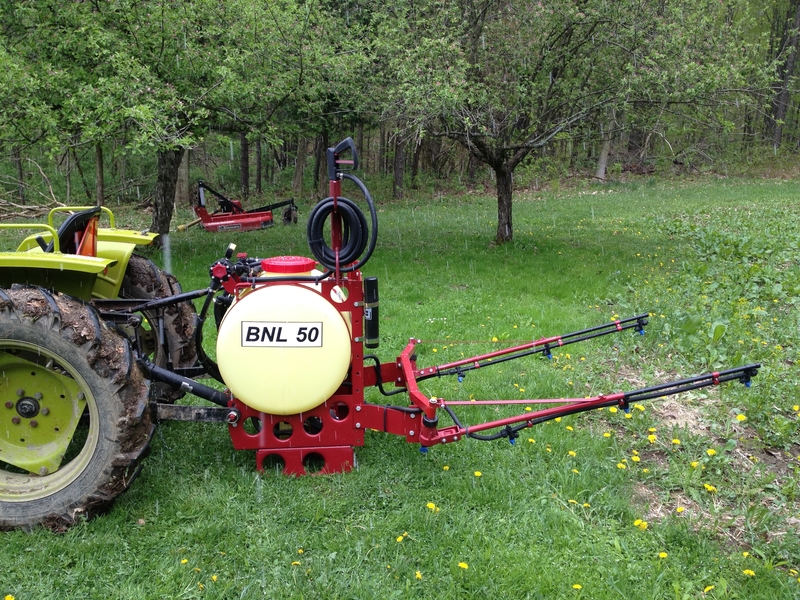 A high pressure gun sprayer can be added to a boom sprayer as an accessory for a small orchard. With a gun sprayer your mobility is limited by the length of the hose that is attached to the sprayer. For spraying small fruit crops like strawberries, or low height vegetable crops like broccoli, pumpkins, potatoes, etc., a high water volume, high pressure sprayer is required in order for the spray material to penetrate the leaf canopy and undersides of the leaves of these crops. Products such as fungicides, insecticides, miticides require high water volume and high pressure. Herbicide products do not require high pressure or high water volume. 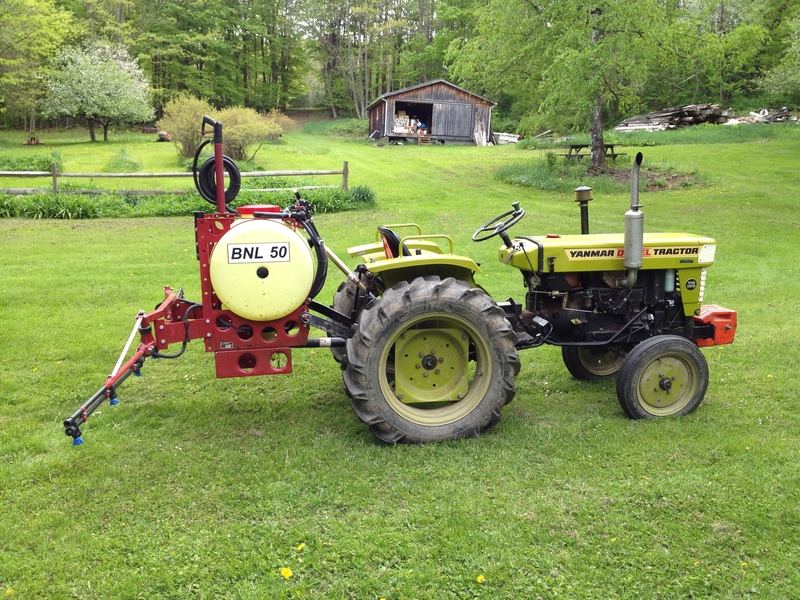 You will need to understand the capability of the available pumps that can be mounted on your sprayer and choose the proper pump to supply the water and spray pressure you will require. If simply spraying pre-plant, pre-emergence, or post applied herbicides or other products that require low pressure and low water volume a basic boom sprayer is all you need. These sprayers are available normally from local suppliers and are relatively inexpensive. They usually come with flat fan nozzles for applying herbicides. Maintenance for sprayers is relatively simple. Keep the sprayer inside, if possible. Storing the sprayer inside helps reduce exposure to moisture and sunlight. Sunlight will fade the paint and will contribute to the gradual degradation of the hoses. Moisture encourages rust. Keep any mechanisms that require lubrication greased or oiled at least annually. When overwintering in climates with freezing temperatures, the water in the sprayer pumps and lines should be replaced with an antifreeze mixture as required by the manufacturer. There are a variety of nozzles that are available for sprayers, depending on what you need to spray. 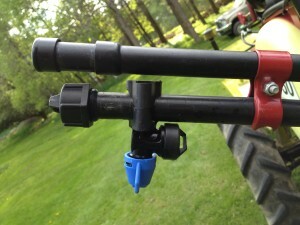 For herbicides, the flat fan nozzles that come with the sprayer are probably all you will need. If you are applying other products, hollow cone nozzles or other types of nozzles may be required. Accessories are also available such as a diaphragm check valve for drip free shut off, which shuts the nozzle off at below 10 PSI (pounds per square inch). This feature stops the nozzle from dripping once it is shut off. Most boom sprayers have folding booms and this is a great feature for storing the sprayer. The outside booms fold up and criss-cross on the back of the sprayer. When you add additional equipment like a sprayer, disc, or bush hog to the back of a sprayer it adds weight to the back which must be counter balanced on the front. We have added weights to the front bumper of our tractor. 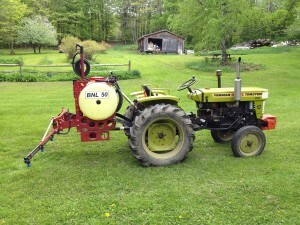 Other options are to add a fluid inside the front tractor tires or add weights to the front tractor wheels. If you choose to add fluid to the tractor tires, a qualified tractor tire dealer can do this. Always read agricultural chemical labels, tractor owners manuals and equipment manuals prior to attaching and using an agricultural sprayer. The simple seed germination test provides you with the information to decide whether to plant the seed you have or buy new seed. When you buy new seed to plant in the current year, the seed packet or bag of seed, will tell you the year that the seed was packed for and the germination percentage. Seed companies are required to furnish this information. Seed for sale is normally harvested the previous year and will normally have the highest germination percentage. Standard seed germination rates for vegetable crops range from 40% to 80%. However, the germination rate can be much higher. I am holding a new packet of turnip seed with a germination percentage of 96%. If the seed is not planted in the year it was packed for, it will normally lose viability or percent germination. Seed is a living thing and usually only needs water, and room temperature to germinate. The longer the time between seed packaging and seed planting the lower the seed germination percentage will be. If the seed is stored in cool temperatures and moderate humidity, more of the seed viability will be preserved. Some seeds deteriorate faster than others. Just because the seed is a couple years old, it is not necessarily ready to throw in the trash. 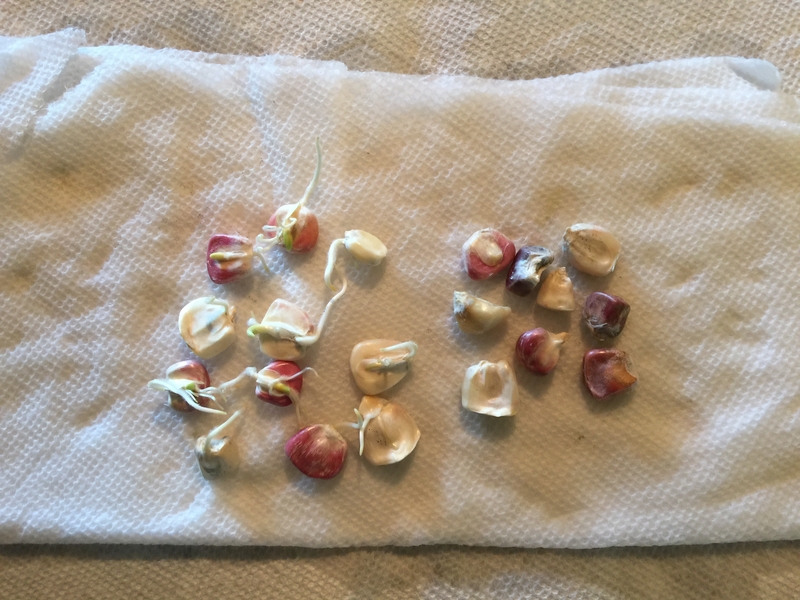 There is a simple germination test that you can do to test the current germination percentage. 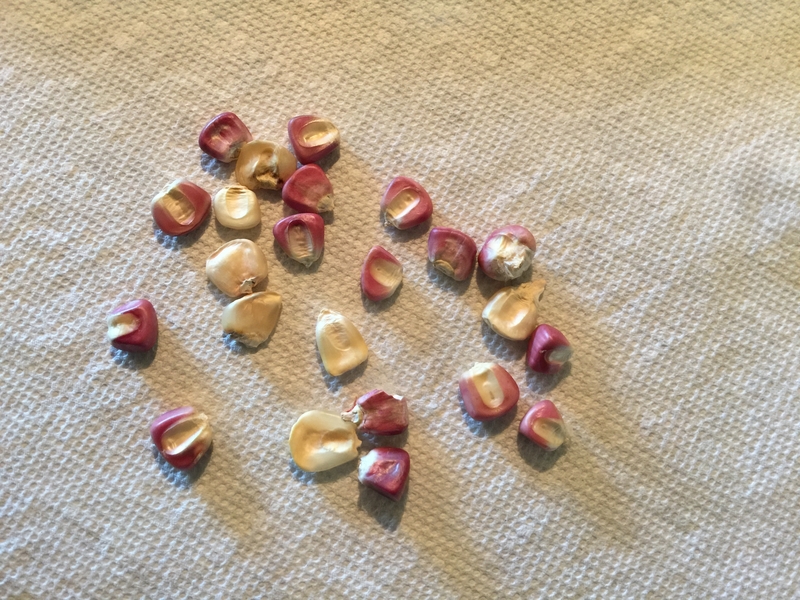 How many of these corn seeds will germinate? Take about 20 seeds and place them in a moist paper towel (not wet) and fold the paper towel so all that seeds are contained within the moist paper towel. Separate the seeds so they are not all bunched together, because you will want to count them in about 5 days. Then place the paper towel in a quart ziplock bag and seal the bag. 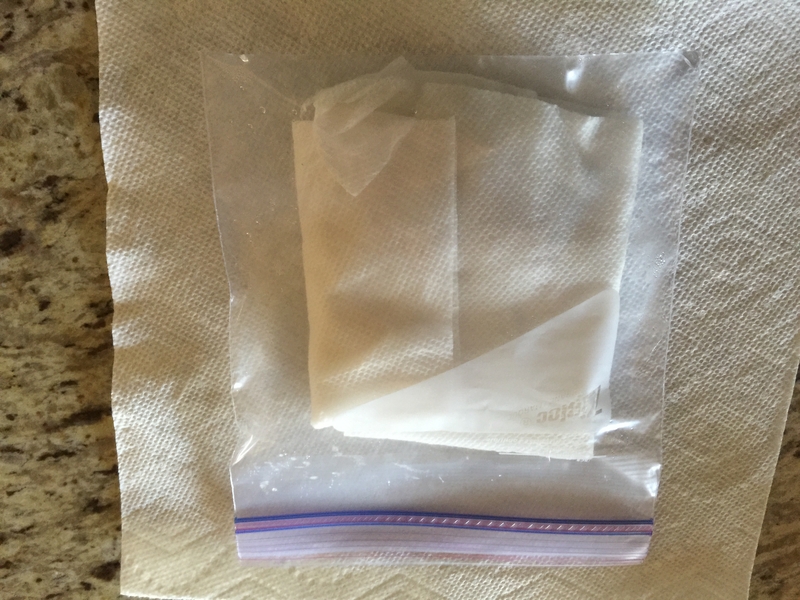 Place the bag near a window where it can get some light, but not direct sunlight, where it will maintain room temperature of 70 degrees more or less. After 5 to 7 days you will gently open the paper towel to observe how many seeds have germinated and how many have not. To calculate the germination percentage divide the number of seed germinated by the total number of sees evaluated. In this case we have 11 corn seeds germinated out of 20 total seeds (11/20 = .55 or 55%). If normal germination was 80%, we need to plant about 31% more seed in order to achieve a complete stand (80-55)/80=31. Most of the time the seeding rate is printed on the seed packet or tag. The seeding rate includes the space between the rows and the space between the seeds in the row. If the results of a germination test shows the germination percentage much lower than normal, the seed may also lack seedling vigor. In other words the seed may germinate but be unable to push the growing point up through the soil in difficult conditions. If you have the time and garden space, you can just plant and see what comes up! If it does’t grow, you can replant! We have our own Monarch Butterfly Milkweed patch, as a food source, for those monarchs that make their way up to Western New York State by late summer. The monarchs that visit our milkweed plants, migrate from their overwintering grounds in Mexico, starting their journey in March. 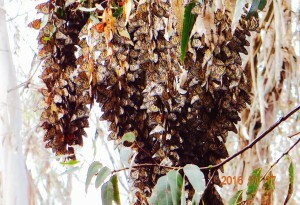 The monarchs that inhabit the United States geography west of the Rocky Mountains overwinter in Eucalyptus tree groves along the pacific ocean in southern California. 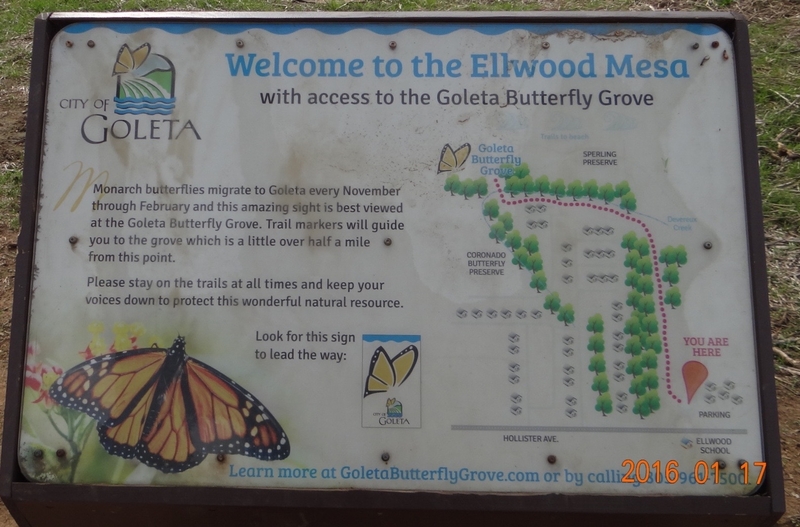 We visited the overwintering grounds located at the Goleta Butterfly Grove, located in Goleta, CA, about an hour and a half northwest of Los Angeles. 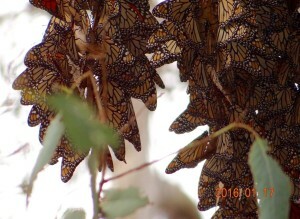 The Monarchs start arriving in Goleta in Mid November and start migrating north again in mid February. Amazingly they return to the exact same trees year after year. 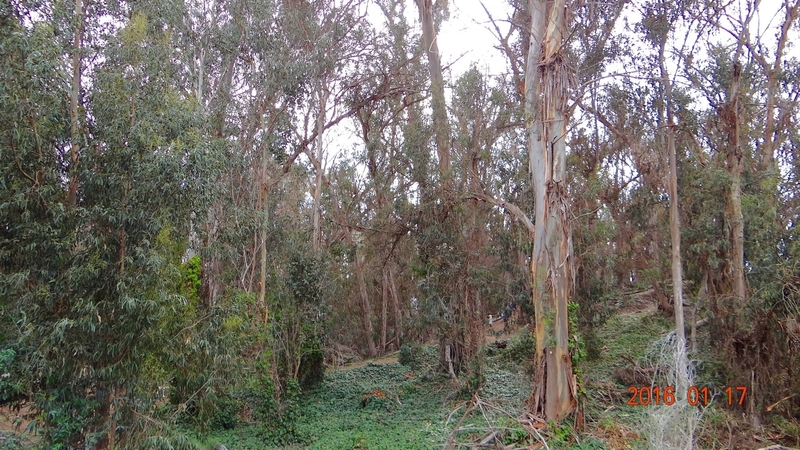 Once they leave the eucalyptus grove, they will seek out patches of milkweed where they will lay eggs. The eggs will hatch and the larvae (caterpillars) will feed on the milkweed. The larvae will pupate and become mature adult butterflies. The adult butterflies will move further north. 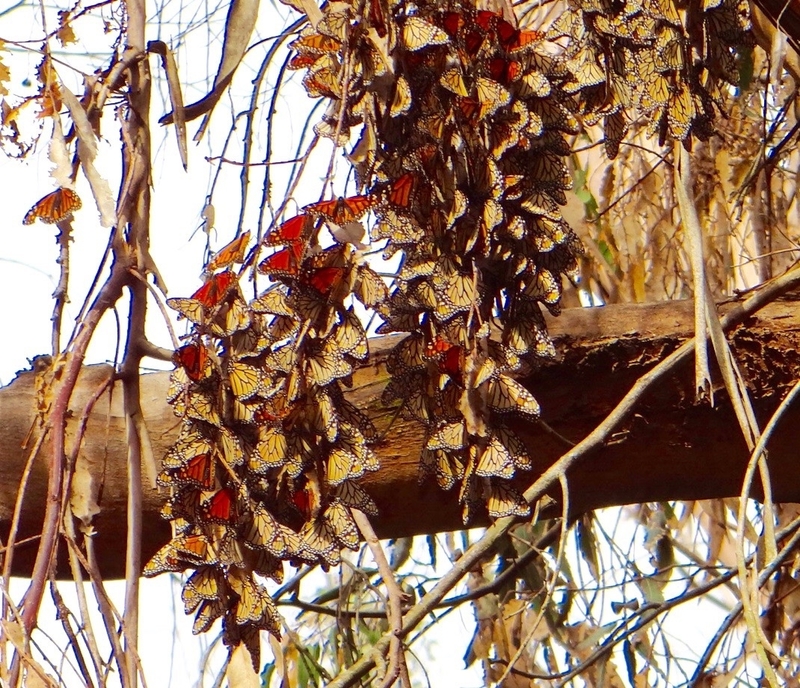 After four generations, the last generation will migrate back to their overwintering location in Goleta, CA. A similar succession of events will happen in the eastern United States, only the monarchs will overwinter in Mexico. 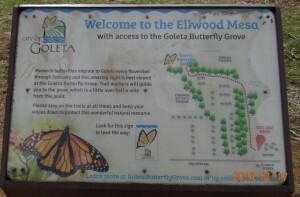 The Goleta Butterfly Grove protects the butterflies so that their future is preserved. 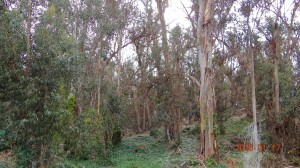 The trail wanders from the parking lot though a grove of eucalyptus trees located between a major highway and the Pacific ocean, along the back side of a residential neighborhood. This area is kept relatively warm by the warm water of the Pacific. 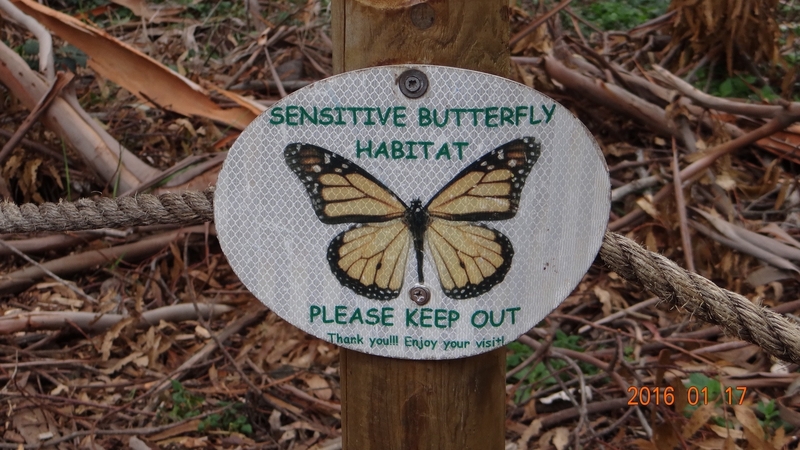 The trees protect the butterflies from wind and helps moderate temperature extremes. 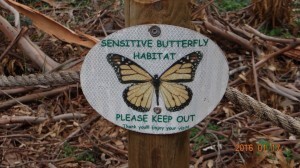 As you wander along the trail, there are signs to follow that direct you where the Monarch Butterflies are located. This is a beautiful trail between mid November and mid February, which is the rainy season for southern California. The soil is moist and winter annual weeds have greened-up and lined the edges of the trail. The butterfly clusters are not easily seen in the morning when it is cool and the butterfly wings are closed and the butterflies are holding each other together tightly. 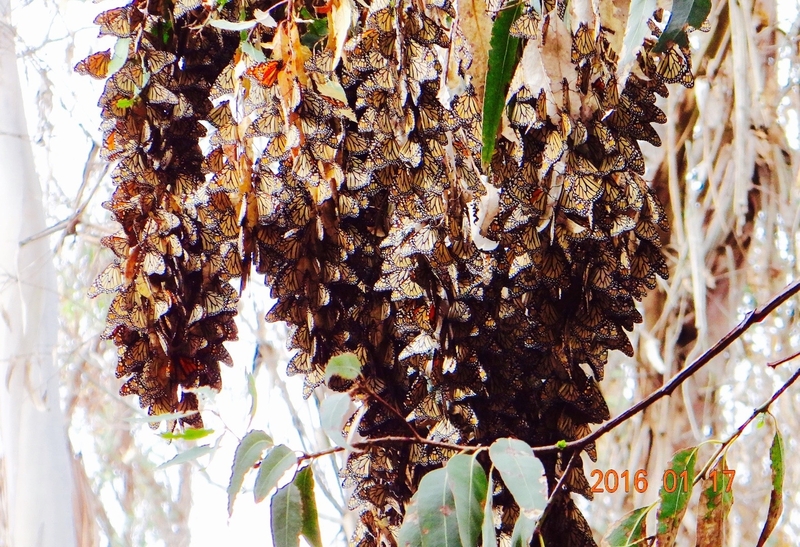 They hang on the trees in clusters containing many hundred to more than a thousand butterflies. 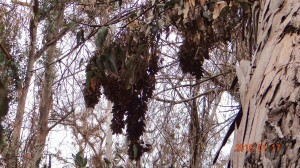 They almost look like a broken branch with brown dead leaves. This may be a natural camouflage for their protection. When the daytime temperatures rise or the sun comes out and warms the cluster, the butterflies loosen their grip on each other and stretch their wings if they can. 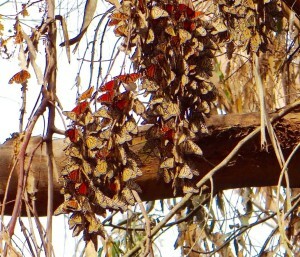 A few will start to fly and you can see an occasional monarch flying in the grove. 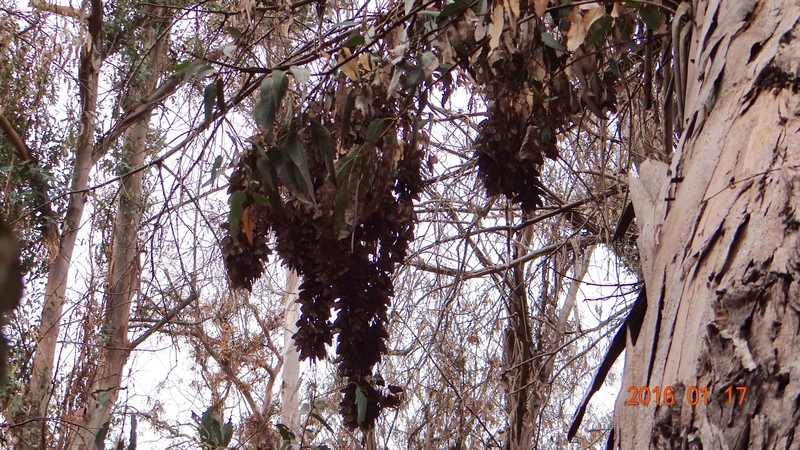 The hanging cluster of monarchs looks similar to a swarm of honey bees hanging from a tree branch, when you look at them from a distance. There are multiple clusters on different branches of the same tree and on different trees. The clusters take different shapes. 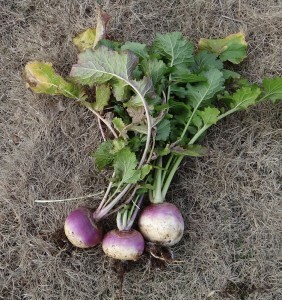 Purple Top White Globe turnips make a great fall and winter food source for whitetail deer. We have grown these for several year and have developed some expertise in growing them. 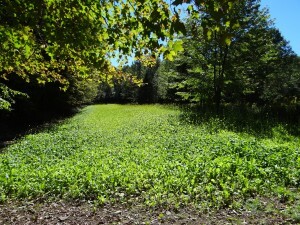 We have been involved in turnip food plots in both western New York State and northern Georgia. 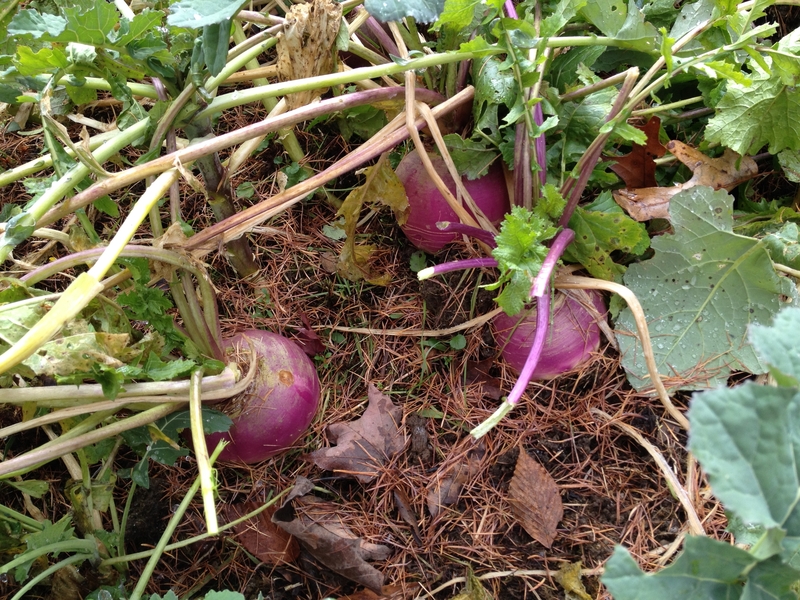 In both geographies, the turnips are grown as a fall and winter food source, planted in the fall. The timing of planting depends on the geography. In NY State, they are planted in mid July – mid August. In Georgia, they can be planted anytime from about September 1st through November 1st. Always follow the planting dates listed on the seed source label. 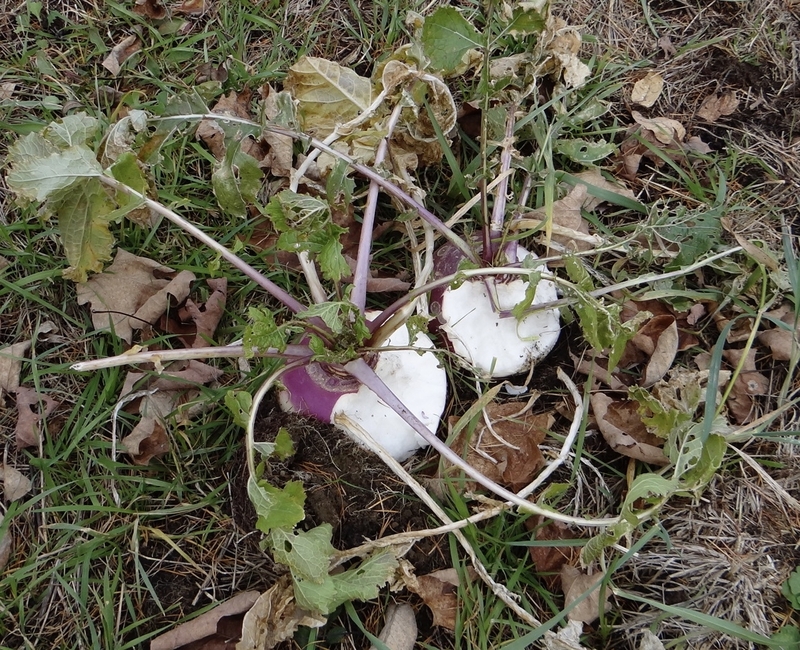 Turnips can be grown as a nurse crop for clover with fall seeded turnips, a brassica mix, radishes or with winter killed oats. 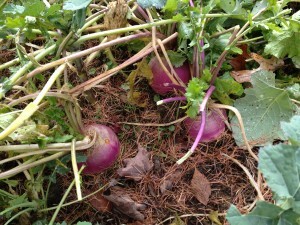 Turnips need light to grow but will grow with some shade in the early morning and late afternoon. As with any food plot, it is important to pick a spot where the deer will feel comfortable coming out into the plot during the early morning, before sunset, or even during the day. Turnips germinate quickly once they have moisture for germination and will grow quickly once germinated. 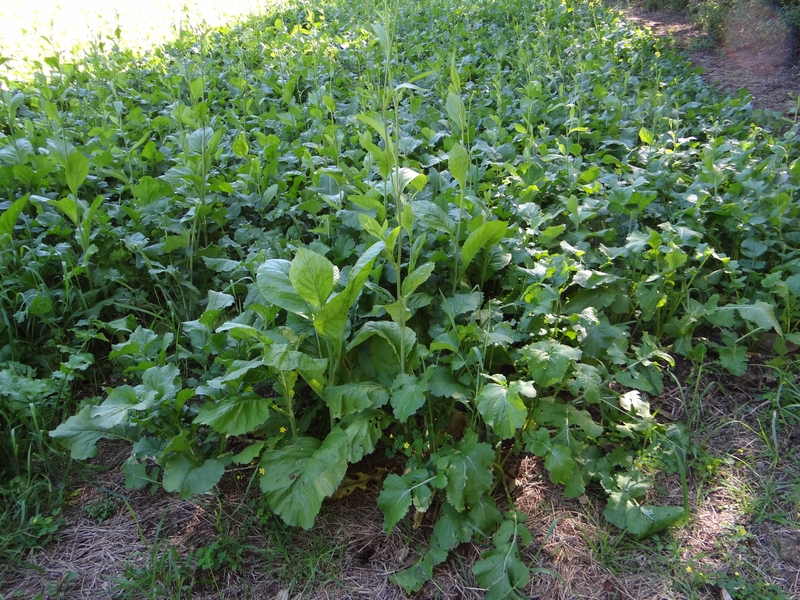 We do not normally use a herbicide in turnip plots because they grow so fast that they dominate other weed species. Grass weeds are the easiest to control with a post applied herbicide like sethoxdim or clethodim. Always follow label directions when using herbicides. The turnips can also be grown separately as an individual crop. When seeding alone or with other food plot varieties, it is important to use the correct amount of seed. Using too much seed results in too many plants, small tubers and if planted with a clover, will shade out the clover resulting in a poor stand of clover. Turnips, Brassicas, Radishes, and winter killed oats all require fertilizer to attain their full potential. 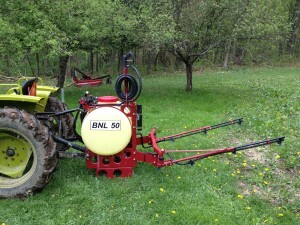 A fertilizer application prior to planting is required to achieve this goal. If this is a new plot or you are unsure what your fertility levels are, a soil test will be a great help. When you get the soil test results, it will also indicate if lime is required to adjust your soil pH. If you don’t have time to do this, an application of a basic NPK (Nitrogen, Phosphorous, Potassium) fertilizer will get you in the ball park. Sixty pounds of Nitogen should provide a season long supply of basic plant nutrients for an average food plot crop. If given space and nutrients to grow the turnips can grow to be quite large. Don’t forget to eat a few yourself. 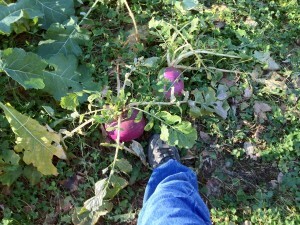 Purple Top White Globe turnips for deer food plots are the same as you would buy in the grocery store and much fresher!! My favorite way to eat them is raw right in the field. Just pull up the turnip, cut off the surface layer with a pocket knife, cut into slices like an apple and enjoy!! Turnips have a great slightly sweet flavor. You can also take them home and cook the diced globe, with the chopped green tops, along with a little ham, for a nice side dish of Turnip Greens & Ham. The deer will start to feed as the weather gets cooler. 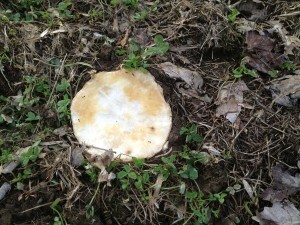 The deer usually start by eating the best part of the globes and then coming back for more as food sources diminish. The cool weather helps preserve the globes from rotting as long as it doesn’t get too warm for too long. 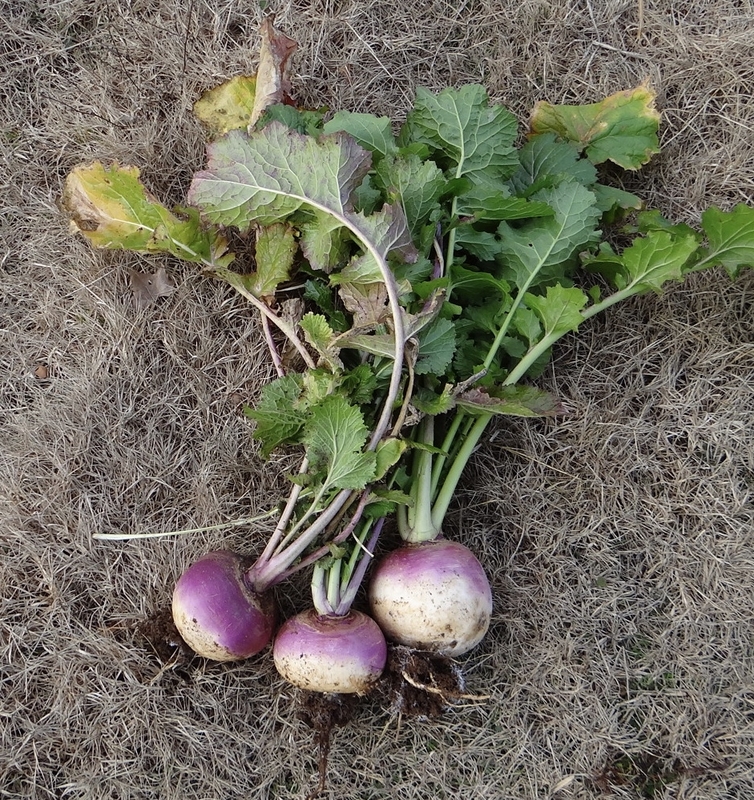 If there is no snow and the temperatures get extremely cold the food value of the turnips will be destroyed. If there is snow cover or more moderate temperatures, the food value will be preserved longer. 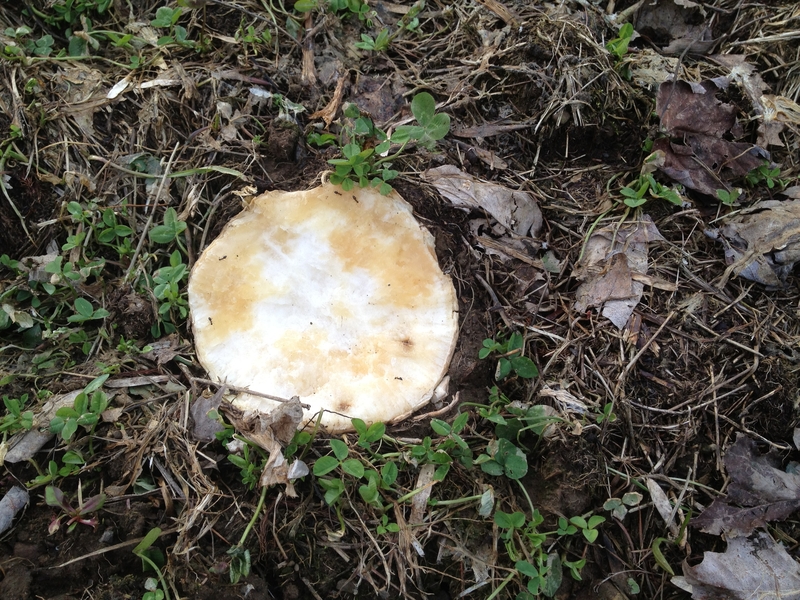 As winter approaches spring, if there is any food value left, the deer will eat the frozen turnips like ice cream, only leaving a white cup in the ground. 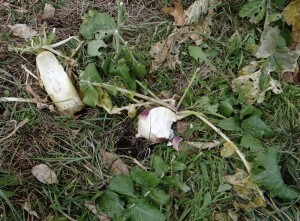 At other times the whole turnip will come out of the ground so they can eat the whole globe. When there are enough globes left at the end of winter it is a good source of food when the deer come back in the spring from herding. We have tried to grow turnips and Daikon Radishes together in NY State but we have observed that the radish flesh is destroyed by cold temperatures easier than the turnips. Sometimes the food value is mostly gone by gun season and no longer an attraction to the deer. 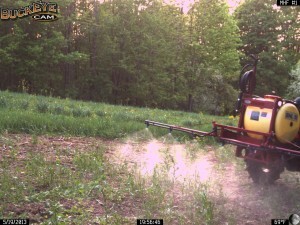 For this reason, we are no longer planting radishes in food plots in NY State. 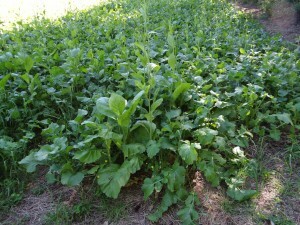 The daikon radish plots in Georgia are normally very successful due to the milder fall and winter temperatures. Swiss Christmas Bread or “Weck” is a recipe that has been handed down in our family going on seven generations. My father always referred to it as “Weck”. I cannot find a similar reference to “Weck” on the internet? This swiss recipe has been passed down from our ancestors in Switzerland. The recipe my father made included only muscat raisins, which are difficult to find today. 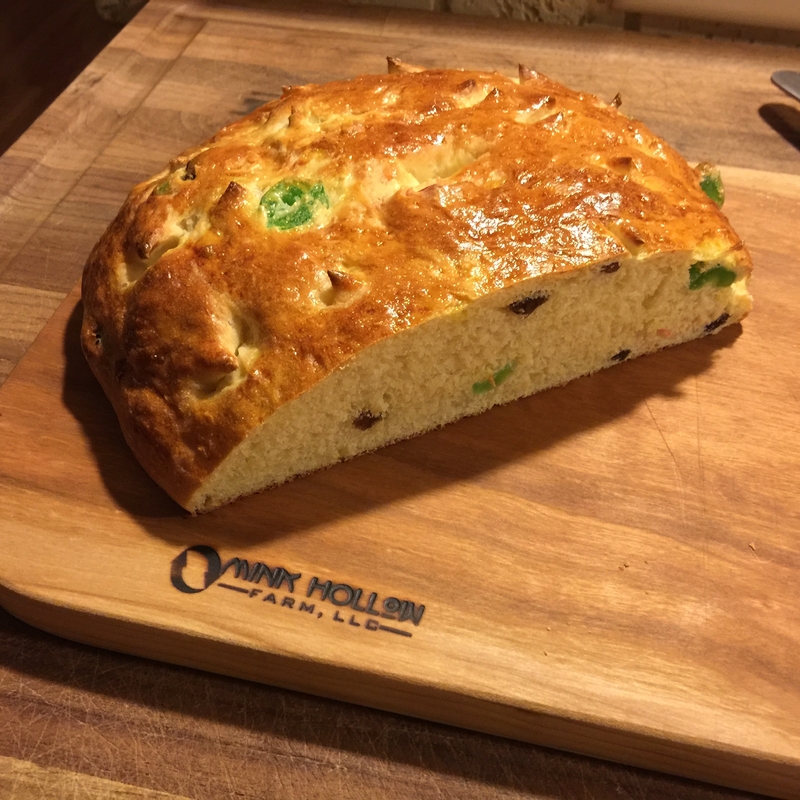 We have adjusted the recipe over the years to include regular raisins, and candied red and/or green cherries. Other additions could include candied citron peel, walnuts, or other nut types. This recipe can be made with a heavy wooden mixing spoon or a Kichen Aid Mixer. 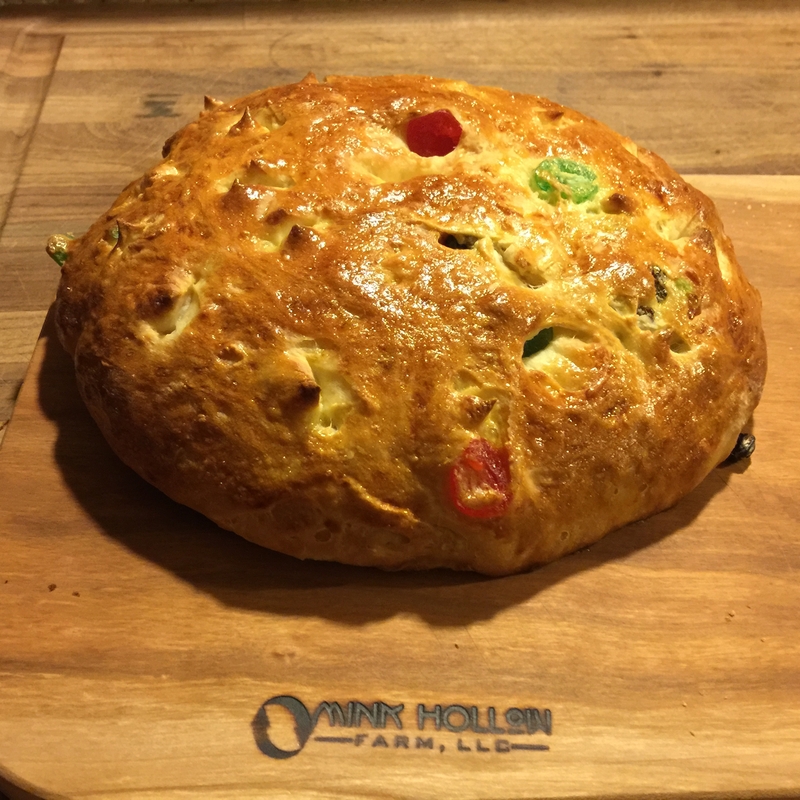 Giving a friend or neighbor a loaf of this special bread is a great gift!! We deliver ours when it is still warm. Extra loaves can also be frozen and enjoyed later. This recipe makes 3 loaves as pictured. A 1/4 teaspoon of sugar to add to the yeast. An additional scrambled egg to put an egg wash on the loaf just prior to baking. 1) Grate the rind of the 2 lemons (we use the fine side of a regular four sided grater or a very fine Microplane). 2) In a small bowl combine the warm tap water, yeast, and a 1/4 teaspoon of sugar and wait for the yeast to proof (we use a 2 cup pyrex glass measuring cup). 3) In a large bowl, combine the flour, salt, sugar, grated lemon rind, and raisins (see Kitchen Tips below). 5) In a small sauce pan, on low heat, combine milk and butter and scald (not boil) (see kitchen Tips below). 6) In a small bowl, beat the 2 eggs. 7) In the large bowl with the flour make 3 “pockets”, one for the eggs, one for the milk, and one for the yeast. 8) Add all the ingredients into the flour and mix into a dough with a heavy wood spoon. 9) You may need to add some extra flour if the dough is too sticky. Knead the dough. 10) When you have a nice ball of dough, set aside in a covered bowl to rise for about an hour. 11) Prepare 3 baking greased baking pans. We use a medium pizza pan. Other pans will work like a pie pan or round cake pan). 12) Preheat the oven at 375 degrees. 13) When the dough has risen, punch it down and form into 3 equal sized balls. 14) Flatten one ball at a time and put a hole in the middle like a doughnut with a small hole in the middle. Place in or on the baking pan. 15) Let rise for an addition hour. 16) For decoration you can cut with a scissors a decoration pattern in the dough with a series of very small cuts. We make a circle of cuts around the circumference. 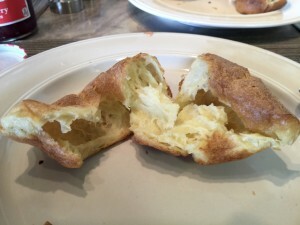 17) Egg Wash – In a small bowl, scramble an egg and brush a thin coat over the entire loaf of Weck. 18) Bake for 20 – 25 minutes at 375. 20) Serve when cool enough to cut, while still warm, with real butter. Best eaten when it is still warm from being in the oven!! 1) Coating Fruit with Flour: Sometimes the raisins are in sticky clumps in a box. When you add raisins to the flour, separate the raisins individually as you add them to the flour. Coat them with the flour in the bowl as you add a few at a time. The same is true of candied cherries. We cut the cherries in half with a scissors as we add them the flour. 2) Adding Fruit and Nuts: We use either 2 cups of raisins, or one cup of raisins and 1/2 cup of red candied cherries, and 1/2 cup of green candied cherries. Similar ratios of other ingredients like candied citron peel or nuts can be added. The total of fruit and nuts should not exceed 2 cups. 3) Scalding: Scalding means bringing a liquid mixture to near boiling, but not boiling. If in doubt, turn off the heat when the liquid is very warm, but not boiling. In bread making, scalding the milk serves a scientific purpose. The whey protein in milk can weaken gluten and prevent the dough from rising properly. Scalding the milk deactivates the protein so this doesn’t happen (per The Kitchn). Be sure to let the scalded milk cool below 100 degrees before adding to the recipe. 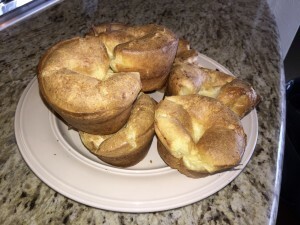 If you can comfortably put your finger in the milk, it should be ok.
We read a recipe for Parmesan Popovers in a recent issue of People Magazine which was written by Bridget Moynahan. We decided to make the recipe and it turned out very well. We are re-publishing it here with just a couple small changes. On the Platter! They Shrunk a Little! 2 Tablespoons of butter to grease the muffin tin. 2 Large eggs at room temperature. 1 Cup of all purpose or bread flour. 2) Grease a muffin pan for 12 muffins with the butter. 3) In a medium bowl combine the eggs and half-n-half and uniformly mix. 4) In a large bowl mix flour, salt, and grated parmesan cheese. 5) Pour in the egg mixture and beat until only tiny lumps remain. 6) Preheat the muffin pan in the oven for about 2 minutes. 7) Right before you take the pan out of the oven, whisk or beat the batter again. 8) Fill each cup in the muffin pan just a little less than half way. 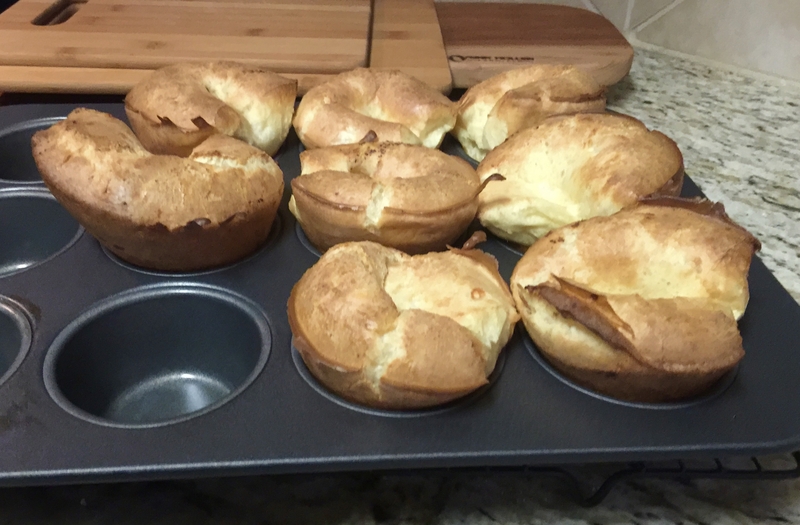 9) Bake for 25 minutes without opening the oven!! Split Open! Ready to Eat! There are a multitude of ways to eat a popover, warm with butter, or butter and jam, or filled with a strawberry & whipped cream; the list goes on!! I ate mine with butter and strawberry jam and it was luscious!! If you forgot to take your eggs out of the refrigerator to bring them up to room temperature, we put them in a bowl of hot tap water while we are preparing the recipe and they warm up significantly in about 10 minutes.